Banpei already told me that the Cressida GX71 was not a Cressida but rather a Cresta. I don’t see the difference anyway. I thought it would be nice to show some more pictures and info about this car since it is my first blog posting. As you can see it’s got a nice lip, some bonnet security and one blacked out headlight. I wonder how this blacked out headlight can be road-legal? Apparently it won some prizes, but the site of the owner does not tell me anything about what he won. It’s got gills for better breathing, or would it all be show? The 1G-GTE engine has been modified. 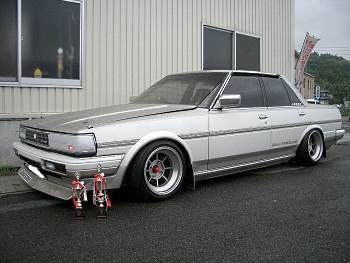 At first I identified the engine as a 1JZ because of the intakes. However the rest of the engine looks very 1G-GTE and the owner claims it is still a 1G-GTE. Okay, this is not bosozoku style, but it is bosozoku related: this Nissan Silvia Turbo S12 Super Silhouette is on of the Super Silhouette cars that ruled the tracks during the early 80s. 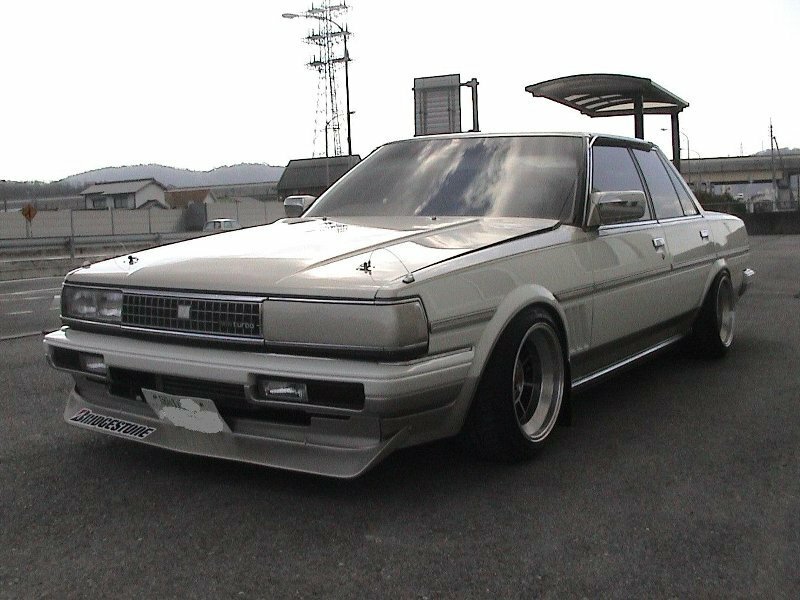 These Super Silhouette cars have influenced the Bosozoku styling a lot: that’s where the boxy widened bodyshapes, spoilers, lips and sharknoses come from. Let’s hope his Carina gets the same smart look as this one!! 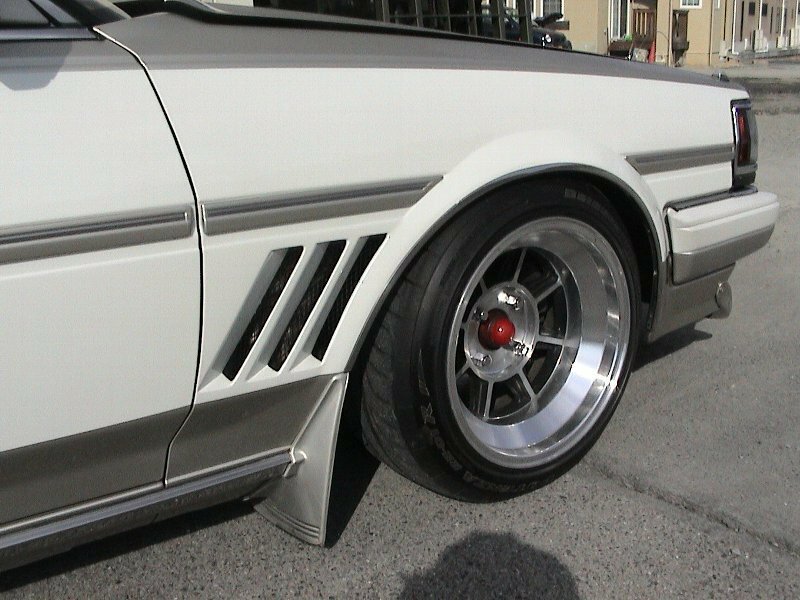 Exhaust sticking from the hood, nice large wing on the bonnet, wide fenders and that great spoiler on the nose of the car! 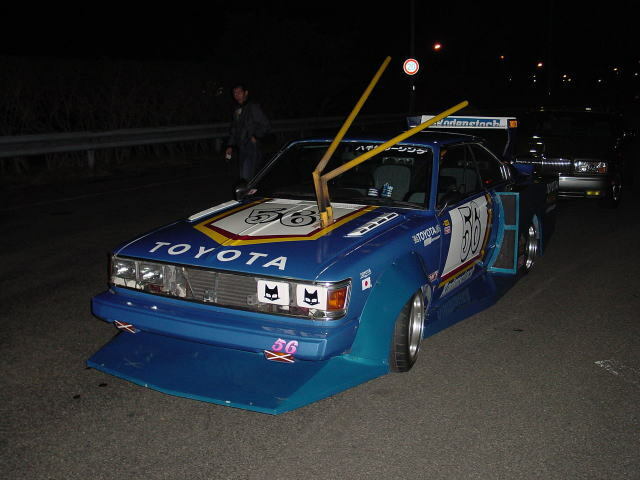 Jan 28th How would you review a bosozoku style car? Simple: just drive it of course! I love the way they modified the first Kenmeri skyline… Big gear shifter (almost touching the roof), super lowrider, big exhaust, SSR Starshark rims. All very taseful!